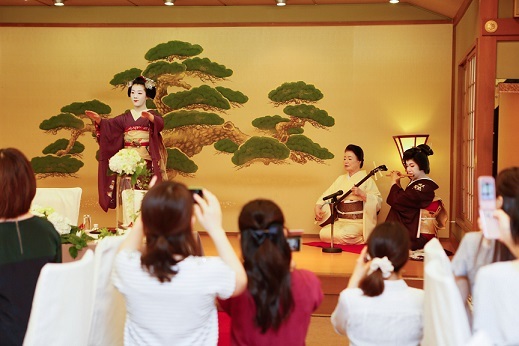 A surprise performance by “Maiko and Geiko” was presented during a meal. They also served drinks for the guests and posed for the camera. 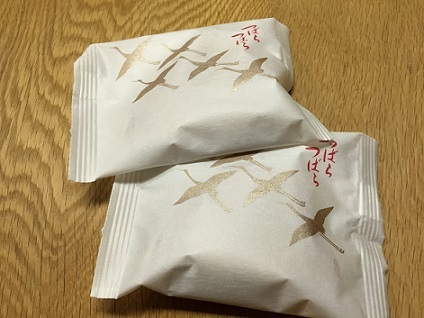 The souvenir was “Tsubara Tsubara” which is popular as “Hikigashi (= gift sweets for the guests of wedding reception)”. 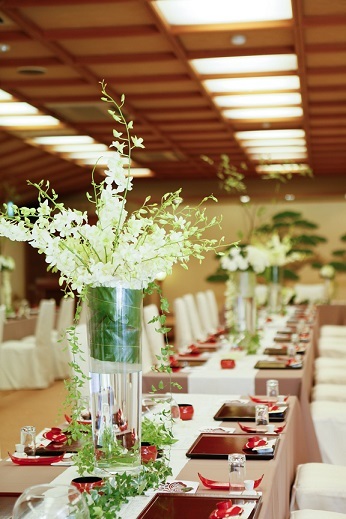 We hold a ryoutei restaurant wedding fair at “Saami (ryoutei restaurant)” the other day. It counted 12th summer since we had started the fair in 2004. All the LST staff tried our best to propose Japanese coordination and presentation. 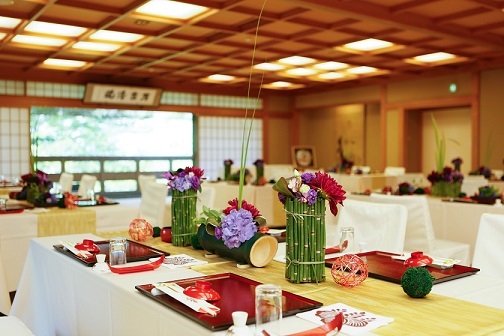 Saami is a ryoutei restaurant known for its superb meals and beautiful location in “Maruyama”. And Okami-san (= madam) and all the staff always serve customers with nice smile. We found many good comments in the answers to our questionnaire. And all the guests admired Okami-san’s “Shinobue (= flute)” performance. We appreciate that so many guests filled the large banquet room in spite of the summer heat. Also, we would like to express our gratitude to Saami and all the other partners for their collaboration to the event for 12years.